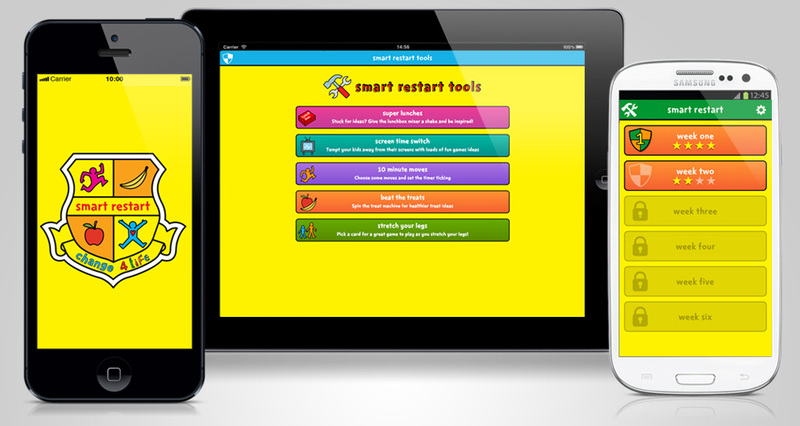 This web and smartphone app was developed to support a ‘back to school’ campaign which was inspired by evidence that shows this is a good time in a family’s year to form healthier habits. The user starts by selecting a healthy change they want to focus on. This included making lunchboxes healthier and walking to school more often. The user is then delivered weekly action lists to help them build that healthy change into their daily lives. In addition, we built 5 tools that sit within the app and provide ideas and inspiration to help parents achieve their goal – such as healthier lunchbox ideas and games to play whilst out walking. This content-rich, multi-platform app posed a great challenge and we broke new ground – building in a sort of in-app purchase journey that allowed users to move seamlessly between the Change4Life family of apps; drawing recipes from the recipe app and games and activities from the fun generator. Averaging 1,500 downloads a week, it has proved itself to be a year-round winner! © 2019 Antbits All Rights Reserved.